Anytime a soldier goes to war, there is a possibility of that soldier not returning, but some MOS (Military Occupational Specialty) categories were more dangerous than others. The life expectancy of a ball turret gunner in World War II, for instance, was just 12 minutes…yes, that’s right…12 minutes. And these guys didn’t always have a choice as to what job they did. If they were the shortest, they were most likely going to be a ball turret gunner, because of limited space in the ball. Still, while I don’t know the exact number who died, I know it was quite a few. Of course, soldiers on the ground are more at risk than other occupations too. 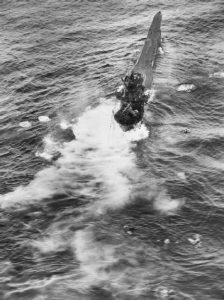 There were the suicide bombers from Japan, who chose to fly their plane right into a ship too, but I think that few occupations were as deadly as that of the U-Boat crew. It wasn’t so much that the occupation was deadly, but rather that every country in the world was after the German U-Boat. The U-Boat was a German submarine, and they were the best sumbarine the Germans had. 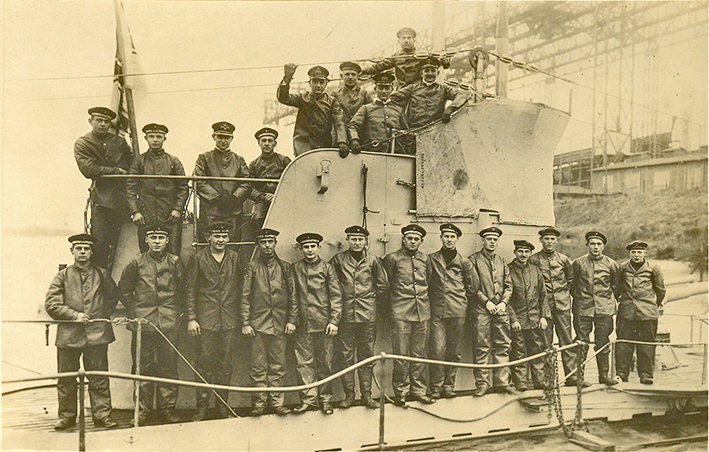 There were 40,000 men who were assigned to the German U-Boats during World War II. Of those assigned to the U-Boats, only 10,000 returned. That is a shocking number!! I would never have wanted the Germans to win World War II, but when I think of the soldiers who fought, I’m sure that there were many who disagreed with Hitler, and others who were brainwashed into following him, but they were still soldiers, and people, and they had been given an assignment that was going to most likely get them killed. 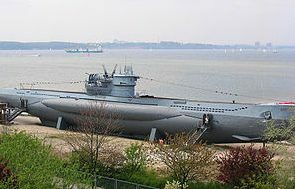 You see, the German U-Boat was the most feared of all the ships or submarines during World War II. They had a code system that was hard to crack, and they were sinking the Allies ships. They had to go. Once the Allies figured out their code, they could no longer hide. The U-Boats began dropping like flies, and with them… their crews, of course. The U-Boats ran on battery power when they were submerged, and that didn’t last very long. So they were required to be a surface vessel most of the time, operating on their diesel engines. I don’t think that contributed to the U-Boat becoming a target, because as long as their whereabouts was coded, they were relatively safe. Once that safety net was gone, they were in a lot of trouble, as has been proven by the number of casualties. The fate of the crews of the U-Boats was not a good one, and those 30,000 men paid the final price, once that safety net was gone. For those of us who have to set an alarm to get up for work, or whatever else one might need an alarm for, the alarm clock truly is not our friend. Whether you had a good night’s sleep or not, really doesn’t matter either. You also know that if the power goes off, or you just don’t happen to hear that alarm, because you are a heavy sleeper…well, you’re going to be late, and your boss is not going to be happy. That alarm going off is always annoying. Nevertheless, we have somewhere we need to be, so that incessant, obnoxious, blaring alarm is a necessity. So, what did people do before alarm clocks? They still had to be to work on time, but if they were a person who did not wake up at the crack of dawn, or to the rooster crowing, what then? Now imagine that your only alarm clock is the sun. If your room is dark, you could have a big problem. Well, there was a fix for that. During the early days of the Industrial Revolution and lasting into the beginnings of the 20th Century, as late as the 1920’s, workers had to get to work on time, and there were no alarm clocks. That’s where the “Knocker-Up” or “Knocker-Upper” came in. Don’t laugh, it was a real occupation in England and Ireland in the days before alarm clocks were affordable or reliable. 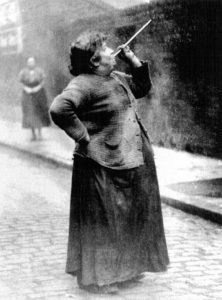 A Knocker-up’s whole job was to go to the homes of the workers, and wake them up by shooting a pebble through a long tube, usually made of bamboo, and hitting the window pane to wake them up. Some used a long stick, and I can see that it might be helpful if the client was a particularly heavy sleeper. A few whacks on the window sill would wake most people up. 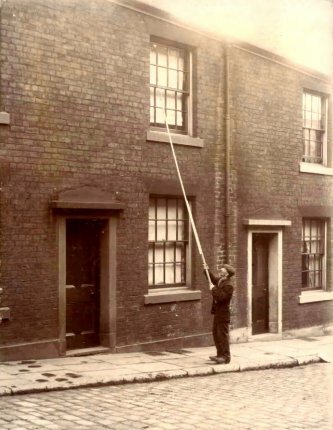 The knocker-upper was required to stay outside the house and continue this action until the worker came to the window to show that they were up and would not go back to sleep. In return for their services, the knocker-up’s clients paid them a few pence a week. Not a high paying job for sure. The knocker-ups were usually elderly men and women, or sometimes even the police, because it was a way to supplement their income, as they could do it on their morning patrols. As alarm clocks became readily available, the knocker-ups were no longer needed. Nevertheless, like many other occupations of old, that no longer exist, these have their origins deeply rooted in history when people worked many varying trades and had to improvise to accomplish their tasks. Some of these professions are not what historians or genealogists consider to be mainstream work, but they are a rather interesting thing to look back on. I think it would be odd to have such a strange occupation, but I can see that it was necessary, and it wouldn’t require much time out of your day. Still, one question remains for me. Who was supposed to wake up the knocker-up? They would obviously have to be awake before the others needed to be, and if they were like me, getting me up early is not in anyone’s best interest…just ask my husband, if he should wake me up before the alarm goes off. While this may have been an honorable occupation in those days, I think it would not have been the occupation for me. Not everyone agrees with getting the flu shot, and I get that. 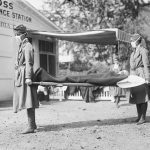 Still, even though there have been issues with the flu shot, it has also been something, along with medicines that has helped to prevent breakouts like the flu pandemic that hit Philadelphia on this day, September 28, 1918. It is believed that a Liberty Loan parade prompted the outbreak in Philadelphia, and before the outbreak was over, an estimated 30 million people worldwide were dead. As most of us know, influenza is a virus that attacks the respiratory system, is highly contagious, and mutates very quickly to avoid being killed by the human immune system. 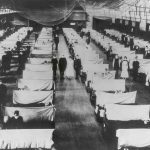 A prior pandemic of the flu in 1889 killed thousands all over the world, but it was nothing like the 1918 Flu Pandemic in its deadliness. 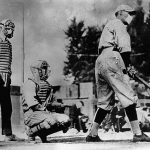 It is thought that the 1918 flu pandemic originated with a bird or farm animal in the American Midwest early that year. It may have traveled among birds, pigs, sheep, moose, bison, and elk, eventually mutating to the version that took hold in the human population that year. Like most outbreaks, this one started slowly, but as people moved from place to place, and others came in to help, it began to spread like wildfire. Once it spread to Europe later in the year, through some of the 200,000 American troops shipped out to fight in World War I, it was out of control. 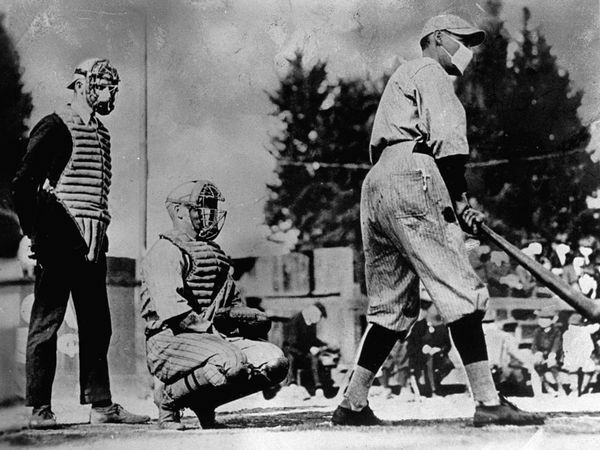 It affected every area of life, and people wore masks to avoid contact with the virus. By June 1918, it had largely disappeared in North America, but only after taking a considerable toll on the people. Over the summer of 1918, it spread quickly over Europe. 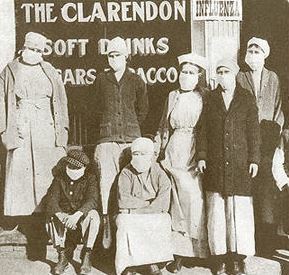 It’s first stop seems to have been in Spain, and it took so many lives there, that it was named the Spanish Flu. 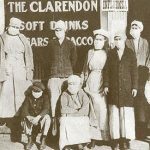 This flu was highly unusual, because it seemed to affect strong people in the prime of their lives rather than babies and the elderly. By the end of the summer, about 10,000 people were dead. In most cases, hemorrhages in the nose and lungs killed victims within three days. By fall, it was completely out of control. By the time it reached London and Boston in September, it was a far worse strain that it had been before. 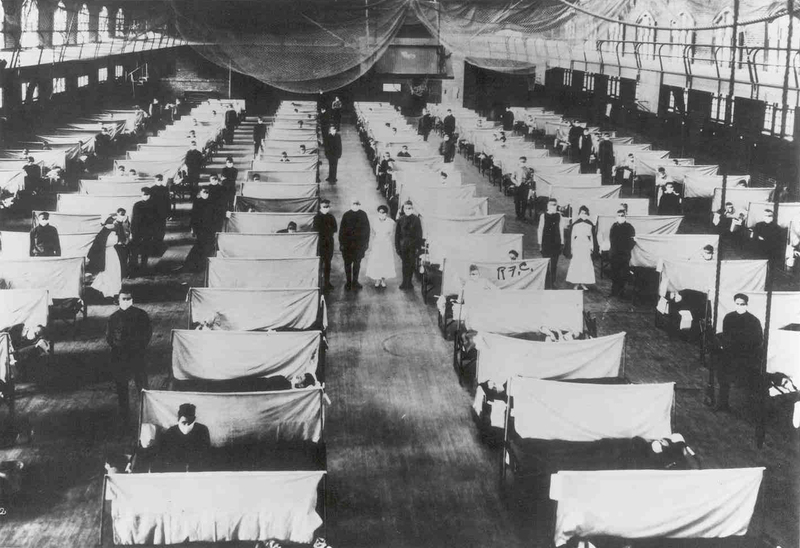 Twelve thousand soldiers came down with the flu in Massachusetts in mid-September. Philadelphia was the hardest hit city in the United States with a loss of nearly 12,000. The whole city was quarantined. In the United States, five out of every thousand people fell victim to the flu. Other countries were far worse, some as much as ten, fifteen or even thirty five per thousand, with 20 million people dying in India alone. 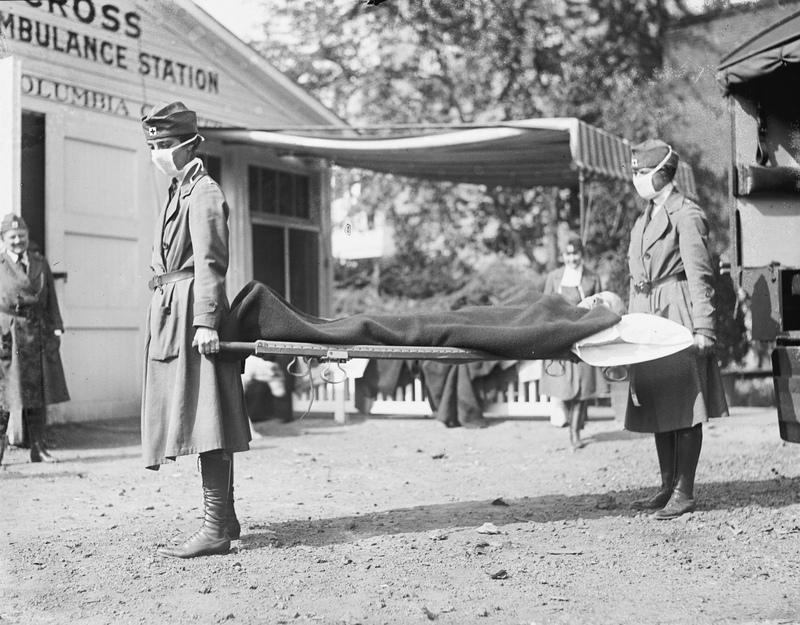 In the end, more people died from the influenza pandemic, than from all of the battles of World War I combined. For years after the first planes began to fly, aviators knew that they would eventually go faster and faster. I’m not sure who first came up with the idea of flight at Mach speed, but it was a challenge that the test pilots quickly set their sights on. Test pilots are a notoriously reckless bunch. They know that the planes and speeds they test could get them killed, but they do it anyway, trying to beat the odds. The first Mach 1 flight (documented anyway, since several other pilots claimed to have done it) was Luftwaffe test pilot Lothar Sieber (April 7, 1922 – March 1, 1945) who broke the sound barrier inadvertently on 1 March 1945. At the time, he was piloting a Bachem Ba 349 “Natter” for the first manned vertical takeoff of a rocket in history. In just 55 seconds, he traveled a total of 8.7 miles. The aircraft crashed and he was killed. Serious thought would have to be give to stability at that speed, and the improvements were started immediately. Still, it would take time before anyone dared to try it again. Now, the pilots set their sights on the next big dream…Mach 2. It was always a race to be the first to achieve it. Flying at Mach 2 was not going to be very far behind Mach 1. On November 20, 1953, Albert Scott Crossfield became the first person to fly at twice the speed of sound as he piloted the Skyrocket to a speed of 1,291 mph…Mach 2.005. The Skyrocket proved to be of a superior design, and after the record breaking flight, Crossfield was able to safely land the plane. He was not only successful in flying at Mach 2, but he was able to enjoy the victory celebration afterward, and in the world of Mach speed flying, that was a novelty for sure. As with any other milestone, records such as Mach 2 flying are just meant to be broken. Mach 3 was the new challenge, and the breaking of this record would come even quicker than the last one had. On September 27, 1956, Milburn G. Apt, flying in the Bell X-2. The plane, which had been nicknamed Starbuster was an X-plane research aircraft built to investigate flight characteristics in the Mach 2–3 range. 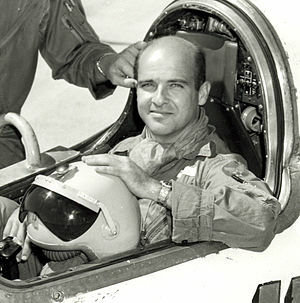 Apt was a Unites States test pilot, and his specialty was high speeds. 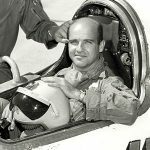 He was shooting for and attained the record breaking speed of Mach 3.196 on that fateful September day, but did not live to receive the praise for his accomplishments. 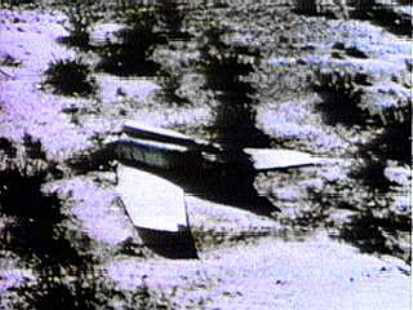 The subsequent loss of control of the plane from inertia coupling led to the breakup of the aircraft and Captain Apt’s death. I think a lot of us have thought about just getting away from it all for a while. Life gets too busy, and we just think that if we could have a little time away, with nowhere in particular to be at any given time, we could come out of that stressful sort of funk we find ourselves in. 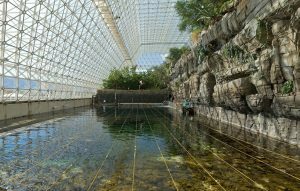 Now I don’t know if that was what medical doctor and researcher, Roy Walford, along with Jane Poynter, Taber MacCallum, Mark Nelson, Sally Silverstone, Abigail Alling, Mark Van Thillo, and Linda Leigh had in mind or not when, on September 26, 1991, they entered a facility called Biosphere 2, for a two year stay inside…without leaving, but that is what they did. Granted, they weren’t alone in the facility, but they were there for two full years, finally emerging again on September 26, 1993. 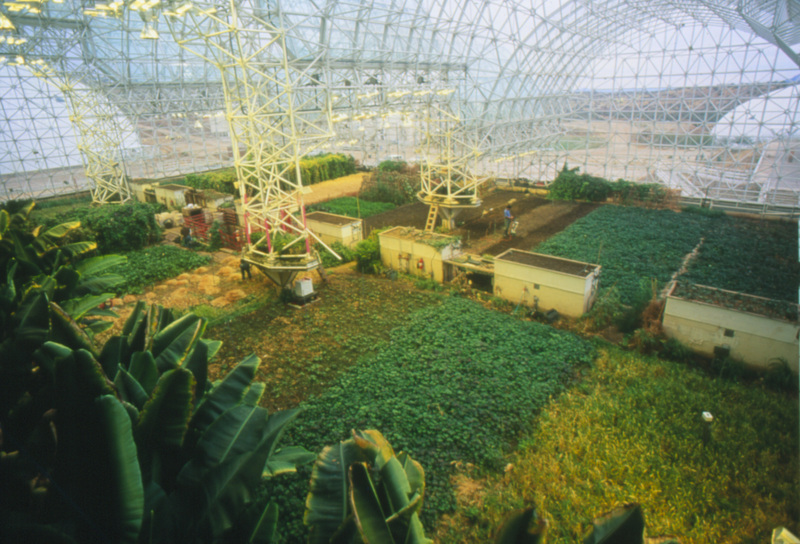 Biosphere 2 is an agricultural system that produced 83% of the total diet, which included crops of bananas, papayas, sweet potatoes, beets, peanuts, lablab and cowpea beans, rice, and wheat. No toxic chemicals could be used, because they would impact health. That first year was tough. The eight inhabitants were continually hungry. Things got better in the second year, when they produced over a ton more food. They were eating more and so regained some of the weight lost during the first year. They took with them, domestic animals for the agricultural area during the first mission, including four pygmy goats and one billy goat from the plateau region of Nigeria, 35 hens and three roosters a mix of Indian jungle fowl (Gallus, Japanese silky bantam, and a hybrid of these), two sows and one boar pig, as well as tilapia fish grown in a rice and azolla pond system originating long ago in China. These were designed to round out the diet. There was public excitement, as well as doubt, especially when an injured member was allowed to leave and return, bringing in plastic bags. The public thought it was food. In the end, I’m not sure if they deemed the project a success or not. I suppose it would depend on who you talked to. 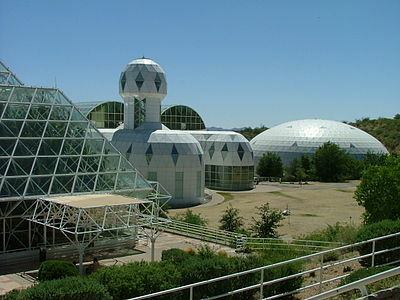 The system could not produce enough oxygen so that had to be pumped in. Also, some of the species died, and some of the dead fish clogged the filtration system. The eight members of the team survived, so I suppose that would be considered a success, and they did stay the full two years that had been planned. It was an interesting experiment I’m sure, and it would be a definite getaway from normal, everyday life, but I’m sure it had it’s downside too. Not being able to be with your family, seeing only the facility, and eating the same food, day in and day out, just to name a few. Personally, I think that two years might be a little bit of a long getaway…in fact, I think I would probably go just a little bit stir crazy…or maybe a lot stir crazy. The second experiment didn’t go so well, with a number of problems precipitating the premature exit of the team. Maybe they went stir crazy too. Most of us think very little about piloting a plane. We leave that to the professionals, but how did they get to be professionals? How did they learn all the techniques that they now use every day? Of course, that is a story that is far to long to write here, but suffice it to say that there was a lot of trial and error, a lot of visionaries, and a lot of test pilots who were willing to lay it on the line for progress. Test pilots suffered everything from failure to death in their quest for victory. Eventually they would go on to pave the way for so much innovation, that today, air travel is a commonplace thing, available to almost everyone. 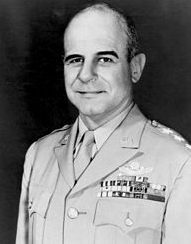 One such innovator, was Jimmy Doolittle. Prior to 1929, planes either had to be rerouted, or not fly in bad weather or limited visibility, but Doolittle was sure that there was a way to fly blind…and land safely. Now he just had to prove it. Until 1929, the only way to fly or land was by sight…known as VFR (Visual Flight Rules). These days pilots know that even if they can’t see, they can still fly safely using the instruments…known as IFR (Instrument Flight Rules). I’m sure that someone had the idea in their head, that such a thing was possible, with no way to figure it out, but Doolittle was about to make his most important contribution to aeronautical technology…the development of instrument flying. Doolittle realized that true operational freedom in the air could not be achieved unless pilots developed the ability to control and navigate aircraft in flight, from takeoff to landing, regardless of the range of vision from the cockpit. It was an amazing unheard of idea. Doolittle believed that a pilot could be trained to use instruments to fly through fog, clouds, precipitation of all forms, darkness, or any other type of poor visibility. He also believed that the plane could be landed safely even if the pilot’s motion sense was impared. 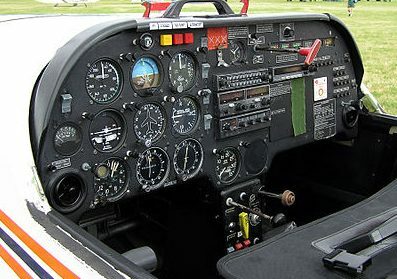 At that time, the ability to control aircraft was partly about getting beyond the motion sense capability of the pilot. You see, sometimes pilots could become seriously disoriented without the visual cues from outside the cockpit. On this day, September 25, 1929, Doolittle would prove his theory, that if a pilot would “trust his instruments” and not his senses, he could safely take off, fly, and land, even if he could not see. Flying blind became a reality when Doolittle took off from and returned to Mitchel Field that September day. He had assisted in the development of fog flying equipment, helped develop, and was then the first to test, the now universally used artificial horizon and directional gyroscope. Of course, the flight made big news and Doolittle was given the Harmon Trophy for conducting the experiment. Underestimating…it can be inconvenient, sad, or devastating…but, it’s always a mistake. On September 24, 1941, the United States was right in the middle of underestimating Japan. Relations between the United States and Japan were deteriorating. Japan had occupied Indo-China and was now implicitly menacing the Philippines, a country the United States was protecting. The American reaction was to seize all Japanese assets in the United States and closed the Panama Canal to any Japanese shipping. Then in September of 1941, Roosevelt issued a statement, which had been drafted by British Prime Minister Winston Churchill, that threatened war between the United States and Japan should the Japanese make any further movement in territories in Southeast Asia or the South Pacific. The Japanese had dominated Japanese foreign affairs for a long time…probably the biggest problem. 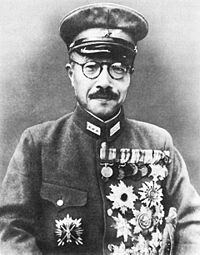 The US Secretary of State, and Japan’s counterpart were trying to ease tensions between the two countries, but Hideki Tojo, the minister of war, later to become the prime minister, had not intentions of leaving the territories Japan had captured. He viewed the Americans as a “threat” to his plan, and considered their attempts an ultimatum. 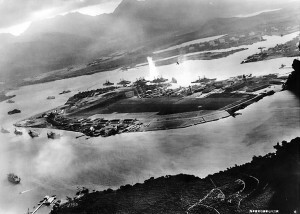 So began his plans to strike the first blow in a Japanese-American confrontation…the bombing of Pearl Harbor. On this day, September 24, 1941, Japanese consul in Hawaii, Nagai Kita was instructed to divide Pearl Harbor into five zones. He was also told to determine the number of warships moored in each zone and report back to Japan. The Japanese did not know that the Americans had intercepted the message. The problem was that it had to be sent back to Washington DC for decrypting. At that time in history, flights from Hawaii to the mainland were infrequent. Remember that we didn’t have jumbo jets then. Most people traveled by ship, and so did the mail. The coded message was sent by sea, and finally reached the capital, but with staffing shortages, the decrypting was delayed until mid-October. It looked like a discarded plan the Japanese had, and since nothing had happened at Pearl Harbor, apparently the Japanese must have determined that it would not work. It was presumed to be an old message that held no possible importance after so long a time had passed. On December 7, 1941, the Americans would realize just how wrong they had been. With the bombing of Pearl Harbor, the importance of the message and the plan would be revealed. 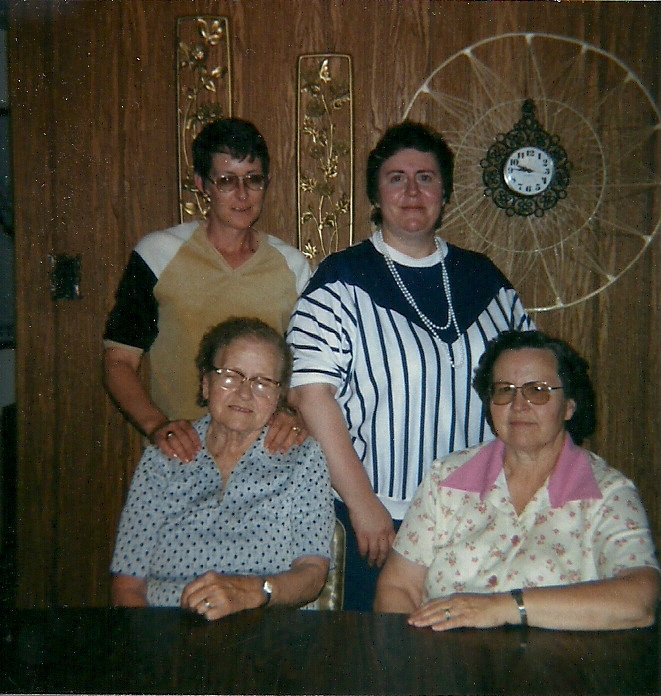 Yesterday, while coming home from a routine trip to see my sister-in-law, Brenda’s doctor in Fort Collins, Colorado, she received a phone call from her cousin, Sheila Cole. We don’t hear from her often, so we were immediately on high alert, and rightfully so. 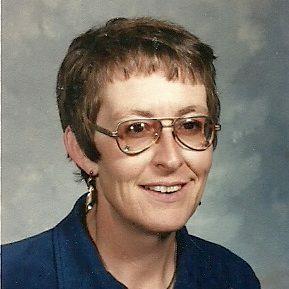 The news was bad…her mother, who is my mother-in-law’s younger sister, Linda Cole had passed away of a heart attack. 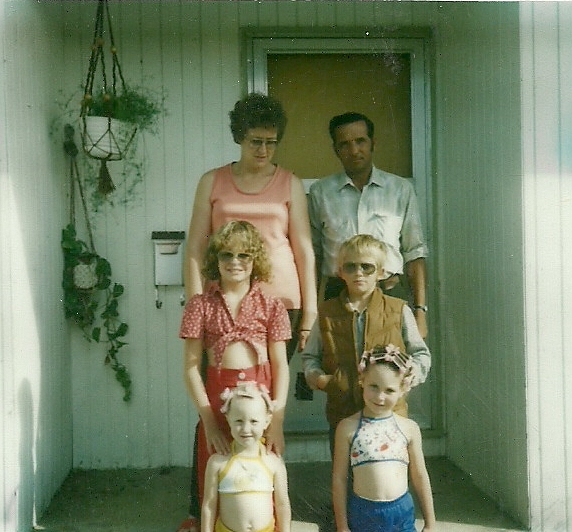 Linda was the middle of three girls in their family. We were stunned. She was only 69 years old. 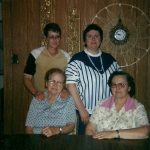 The phone call instantly transported my thoughts back about 35 to 40 years, when Bob and I took our girls over to the dinky little town of Kennebec, South Dakota every year to visit their great aunt and uncle, and their cousins. We always had a great time when we went. It wasn’t that we did so very much, while we were there, but we talked and laughed, and just enjoyed each other’s company. 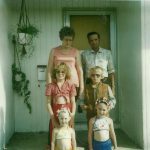 When they moved to Winnemucca, Nevada, those visits became fewer and further between, and over the last ten years, we really hadn’t been down there at all. Looking back now, I have to wonder if we would have made the trip, had we known the future. I guess we all have those thoughts when someone passes away. All of the woulda, coulda, shoulda thoughts come to our minds with regret, as we contemplate the loss of that loved one. We felt the same way after her husband, Bobby Cole passed away in May of 2014, but just thought there would be enough time for it later, or hoped that she would make the trip up here for a visit. Whatever the case may be, the time for all that had passed now, and we were simply left with our feelings of shocked disbelief, and a lot of phone calls to make. Still, my thoughts have persisted. I remembered all the years that Linda and Bobby had spent as part of a square dance club. They made the elaborate costumes that square dancers had always worn, and looked forward to each event. While square dancing was never my thing, I could always see that they totally delighted in it. Later, when they moved to Winnemucca, they both worked in a casino, and could often be found doing a little gambling after work before heading back home. 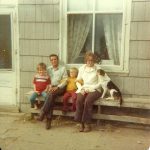 I suppose a lot of people would have wondered if they ever got in trouble for not coming directly home, but I can say that they didn’t, because they were there together. I guess that was always the most important thing…being together. That’s what marriage is all about. I know that the two years since Bobby’s passing have been lonely ones for Linda. Even though her children, Sheila and Pat talked to her often, it simply isn’t the same as being with your life long soul mate. Now, they are together again, and while our hearts are heavy, I know they are having the time of their lives. Rest in peace Linda. We love you, and miss you already. People’s lives change at least a little bit every day, but not every birthday brings the kind of changes that this one brought for my nephew, Jason Sawdon. Of course the changes didn’t happen on his birthday either, but it’s a big change nevertheless. You see, the last birthday Jason had, he was not a daddy. This year is totally different, and he hasn’t been a daddy for very long either. That amazing, exciting day happened on August 25, 2016…less than a month ago. 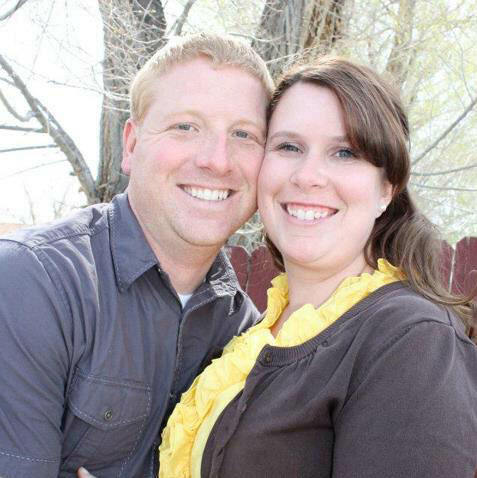 He and my niece, Jessi are still trying to wrap their minds around parenthood. Not being parents, as in how to do so, but being parents, as in she’s really here. It’s really true. And they are having just the best time being daddy and mommy. 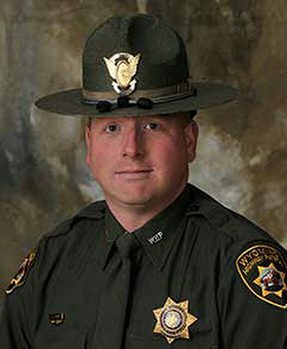 Jason has been a Wyoming Highway Patrolman for some time now, and he is very good at his job…even becoming Trooper of the Year for 2015. 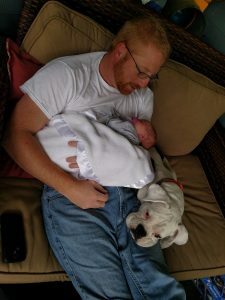 Jason is a great trooper, but for him, nothing compares to how good he feels about being a husband and daddy. Like most daddies…especially daddies of daughters, I have a feeling that Jason is already living his life wrapped around his daughter, Adelaide’s baby finger. The funny thing about these daddies…they don’t really care if that’s where they live. They love that little girl so much. I have always loved that person Jason is. He has a great smile, and he loves his girls…Jessi, Adelaide, and their boxer dog, Daisy. Jason is currently surrounded by women, and I don’t think he minds that one bit. In fact, I think Jason is loving have his girls around him. He is the kind of guy who knows how to make his girls feel special. I particularly recall a cake sale, when he wouldn’t let Jessi’s cake be sold for less than $100.00. That would just never do. Of course, Jessi is a great cook, but Jason wanted everyone to know the value of his wife’s cake. If he could have done priceless, I think he would have. That’s what he thinks of all his girls. It’s all a part of who Jason is. He is very thankful for all the blessings he has received, and he thinks his whole life is pretty priceless. Since my dad was in the Army Air Forces in World War II, the B-17 is a plane that I have researched, watched documentaries and movies about, and toured. The B-17 was called the Flying Fortress, and my dad always said that it was a very safe plane. Nevertheless, as much as I love the B-17 Bomber, there are other war planes that were also stars of World War II. Sometimes, I think that I forget about all those others planes. One of those planes, the B-29 Superfortress actually made its debut flight in Seattle Washington on this day, September 21, 1942. 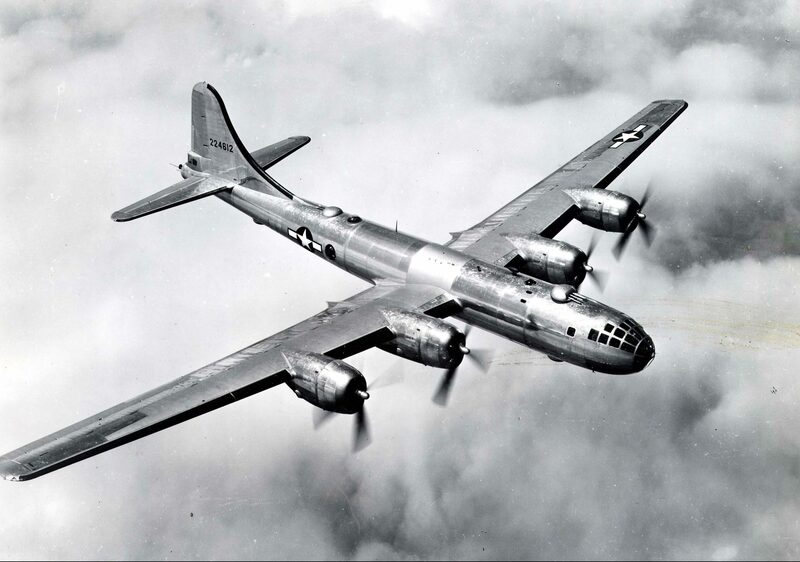 The B-29 was the largest bomber used in World War II, by any nation. The B-29 was the brain child of General Hap Arnold, back in 1939. Arnold worried that a German victory in Europe would mean the United States would have no bases on the eastern side of the Atlantic from which to counterattack. They needed a plane that could travel faster, farther, and higher than anything that was available then. Taking on the challenge, Boeing set out to create such a plane. The plane they came up with was amazing. It could carry loads that were nearly its own weight and at altitudes of 30,000 to 40,000 feet. The plane boasted a pilot console in the rear of the plane, capable of running the plane in the event the front pilot was knocked out of commission. It also had the first radar bombing system of any US bomber. While the Superfortress first took flight on September 21, 1942, it would not make its bombing debut until June 5, 1944, in a battle against Bangkok, as the Allies prepared to liberate Burma from the hands of the Japanese. Then a little over a week later, it was used against mainland Japan on June 14, when 60 B-29s based in Chengtu, China were used to bomb an iron and steel works factory on Honshu Island. It wasn’t exactly a successful mission, but it did boost the morale of the Americans. The United States recaptured the Marianas Islands in the South Pacific, because they were the perfect location for air bases for the new B-29s to strike mainland Japan on a consistent basis. When the bases were up and running, they were used to coordinate a series of bombing raids against Tokyo. 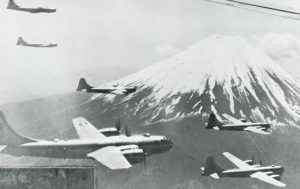 While the B-29s were capable of precision bombing at high altitudes, they began dropping incendiary devices from a mere 5,000 feet, firebombing the Japanese capital attempting to break the will of the Axis power. 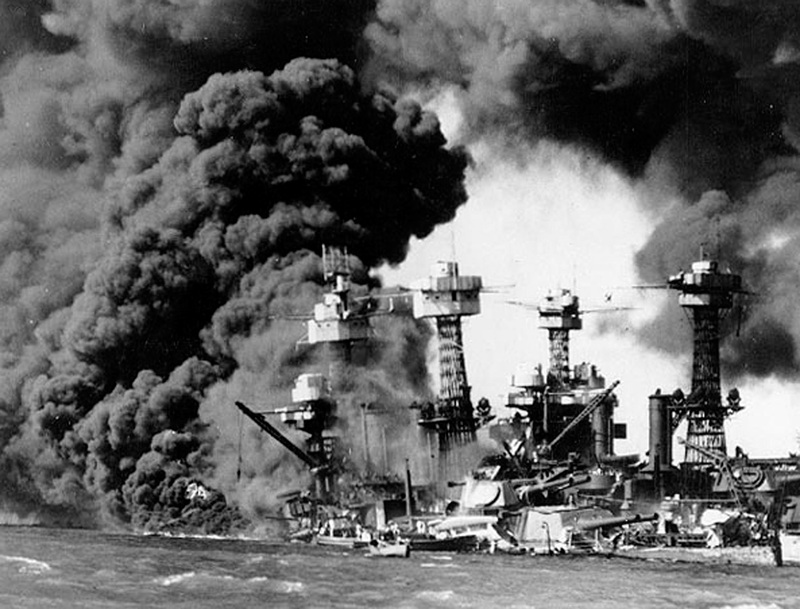 One raid, in March 1945, killed more than 80,000 people. 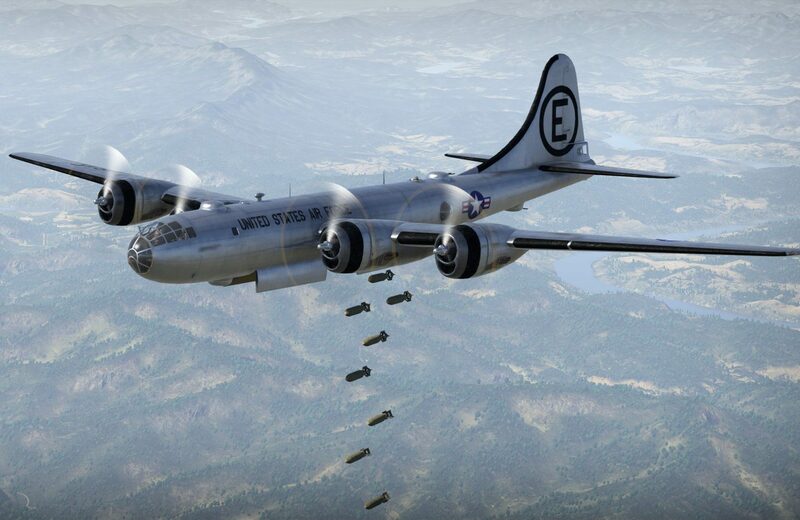 But for the Superfortress, the most famous use would happen in August. It was the only plane capable of delivering a 10,000 pound bomb…the atomic bomb. The Enola Gay took off on August 6th and the Bock’s Car took off on August 9th both from the Marianas, and flew into history. Of course, we all hope that such a bomb run would never be necessary again, but if it had been, it was good to know it was available.